Dental hygienists work closely with dentists. Their responsibilities vary depending on where they work, but the main responsibility of a dental hygienist is to clean patients’ teeth and promote a healthy smile. They often take x-rays of patients’ teeth to determine what type of cleaning is required. Dental hygienists also perform teeth cleaning and educate patients on how to properly care for their teeth to avoid tooth decay and gum disease. Dental hygienists obtain accredited training from a dental educational program, which results in a degree in dental hygiene. After obtaining at least an associate’s degree in dental hygiene, all states require dental hygienists to receive a license to practice professionally. Obtaining a license generally requires a written and practical exam administered by the state’s Board of Dentistry. 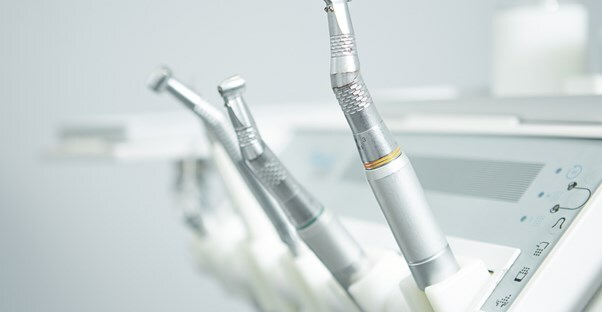 After passing the exam, dental hygienists typically work in dentists’ and physicians’ offices, outpatient care centers, and employment agencies. The salary of dental hygienists vary based on several factors. Nationally, the average salary was $70,530 per year in 2013. Along with earning a good salary for only two years of education and training, the Bureau of Labor Statistics expects a 33% increase in the employment of dental hygienists through 2022. Salaries ranged from $47,880 to $96,960 per year. Salary ranges are often based on years of experience, employer types, and location. Types of employers contribute to salary variances. Among the industries dental hygienists work in, the highest wages were paid by ambulatory healthcare service providers paying an average salary of $83,360 per year. Professional, business, labor, and political organizations paid an average salary of $72,660 per year, and dentists’ offices paid an average of $71,860 per year. Among all employers, 95% of dental hygienists worked in dentists’ offices. Location plays a role in the salary of a dental hygienist. The cost of living in some areas of the country is much higher than others. Certain metropolitan and non-metropolitan areas, where the need for dental hygienists is high, often pay higher wages. The highest wages were paid in Washington, D.C., California, and Washington State. Three metropolitan areas in California paid the highest wages, including San Francisco, Vallejo, and Santa Rosa. Salaries ranged from $102,200 to $112,970 per year in those areas. Non-metropolitan areas that paid the highest wages included western central Nevada, southwestern Washington, and the mother mode region of California. Salaries ranged from $95,790 to $106,700 per year in those areas.